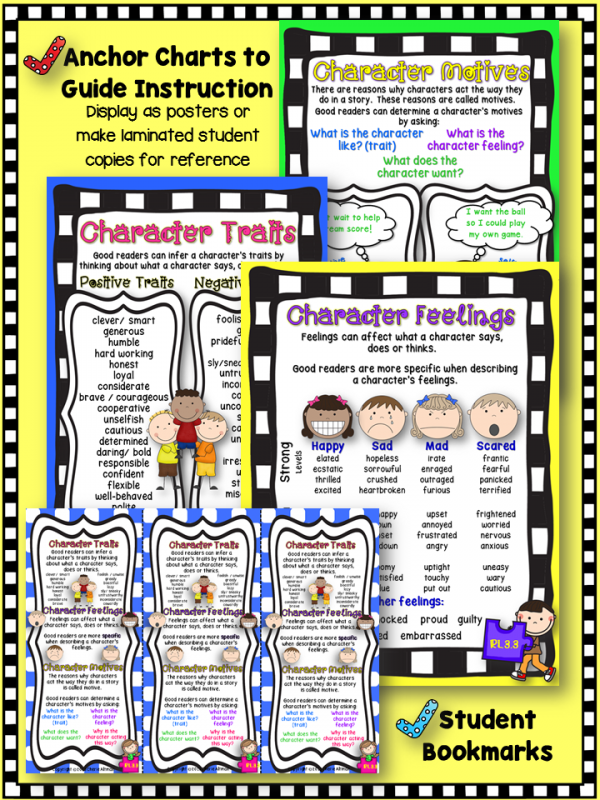 Traits and feelings vocabulary is essential to understanding characters in stories. 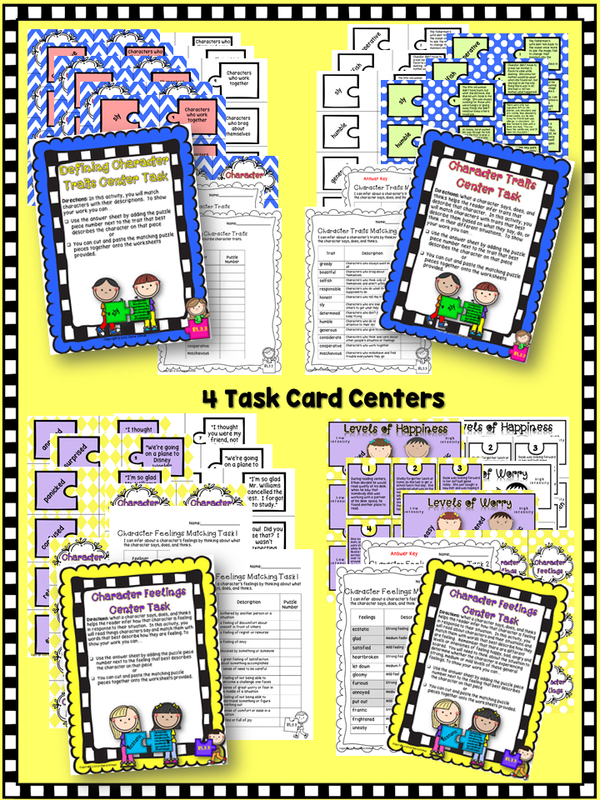 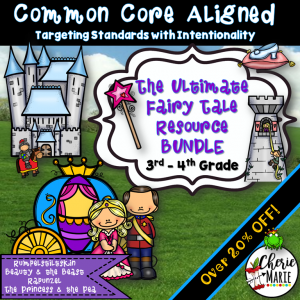 This common core toolkit contains all the essential resources for introducing and reviewing character traits, feelings, motives, and actions, with vocabulary as an emphasis. 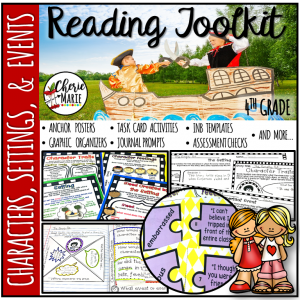 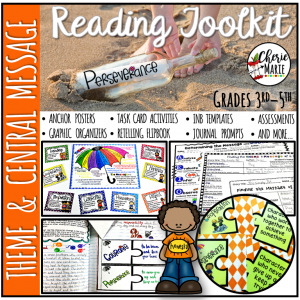 All the tools in this resource are specifically designed for teaching RL 3.3 and can be used with any story/passage or reading activity, whether it be with read alouds, guided reading, independent reading, partner reading, during listening centers, or they can even be used as formative assessments. 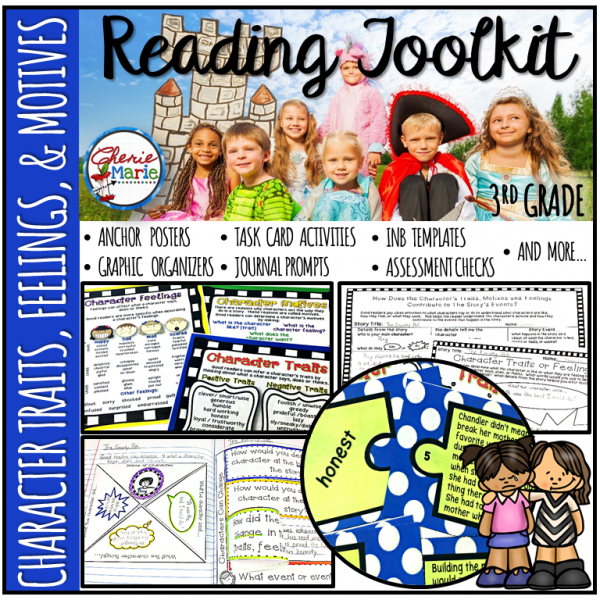 The activities build students’ understanding of trait words such as determined, prideful, or cooperative. Students also learn shades of meaning with character feelings such as upset, angry and furious, which assist students’ understanding of how these feelings influence a character’s actions. 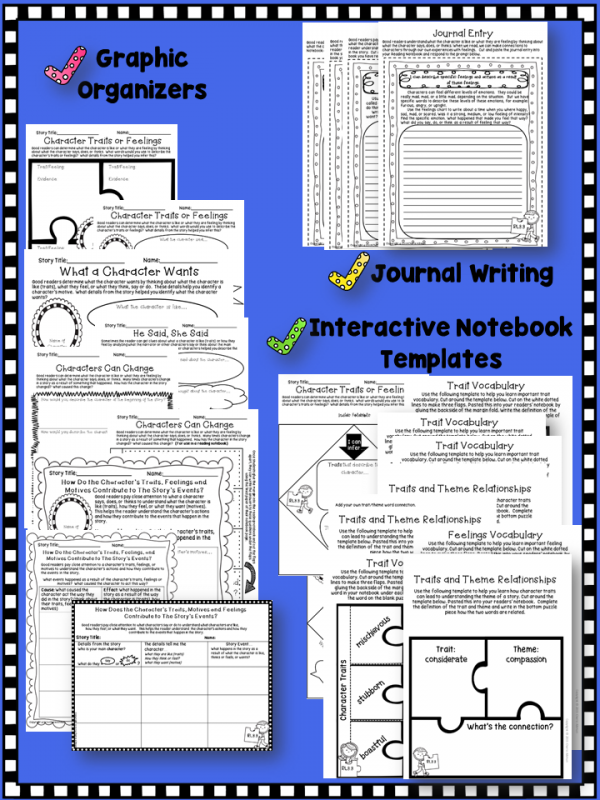 Also included are graphic organizers that are designed specifically for determining how a character’s motives or actions influence the events in the story.